Airdrop of the Day: Swift Demand! While bitcoin market is unstable and we have less trades, I will provide you with some of the interesting airdrops that David from our team has found for you. 💰 Airdrop payout: Swift Demand airdrop is giving out 100 swift coins which can be collected on a daily basis. 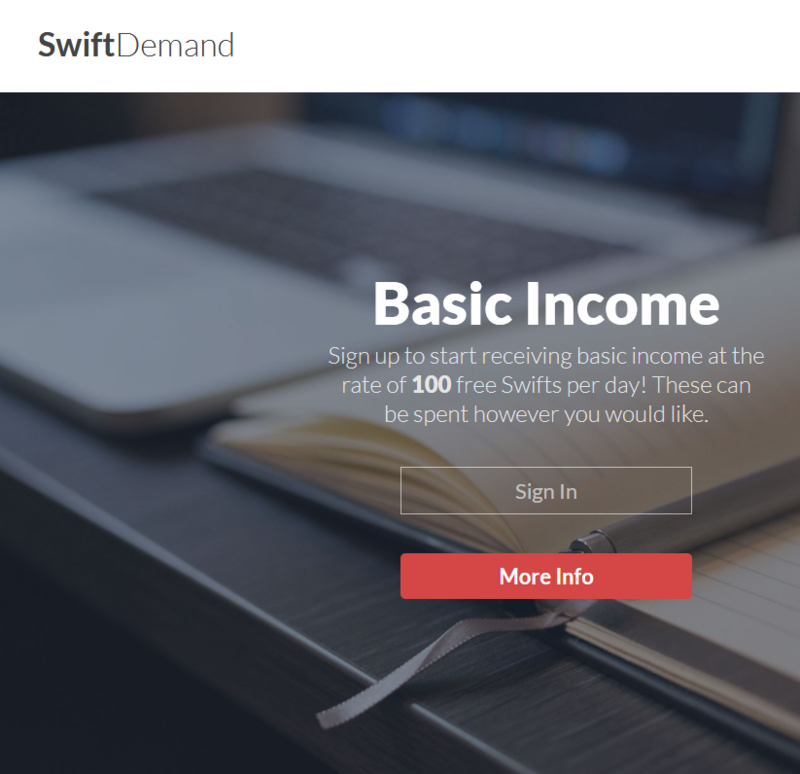 Swift Demand is an attempt at basic income. Each user who is signed up for the service receives 100 Swifts each day. No additional Swifts can be created with time or resources. SwiftDemand is currently a digital currency and will soon become a full cryptocurrency. In mid-2018 all Swifts on SwiftDemand will be transferred at a 1:1 ratio onto the new Swift blockchain.